I once had a very talented Berklee graduate jazz guitarist give me the total thumbs down while in the middle of playing a Coltrane tune live at a public event. He made darn sure I saw him as he gave me a thumbs up followed by the big thumbs down. We found ourselves at a corporate gig. At break, he told me my timing had slowed down during his solo or bridge on one or two fast swing tunes. He probably was right, but it was by far the rudest thing I had ever experienced during a gig, particularly since he had actually approved of my playing on the same tunes at a prior library gig. We all have off nights. Suffice to say, I never got invited to play with those musicians again. You never get a second chance to make a good first impression. The story here is why did I slow down. 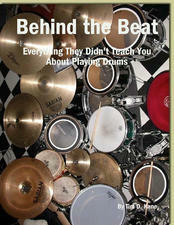 I can play jazz fairly well and have for many years both by reading it and with my ears. 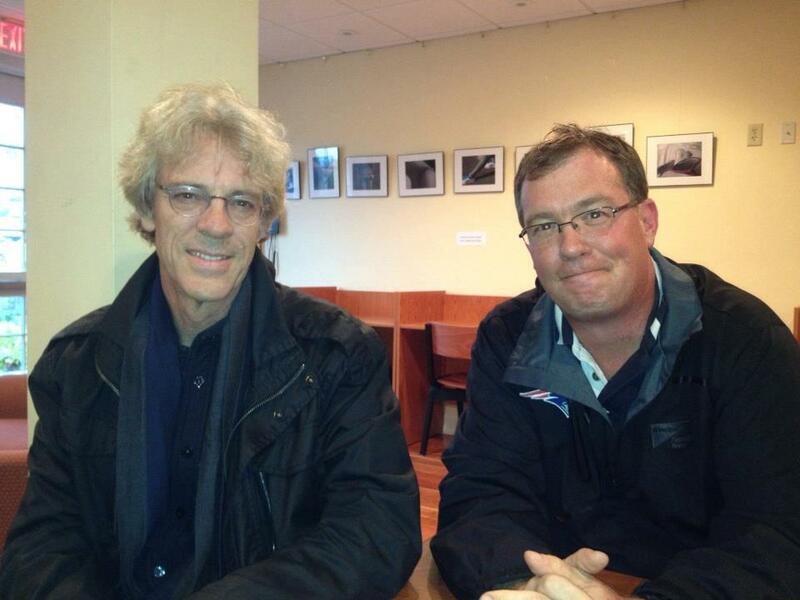 In fact, the Chair of Berklee’s jazz piano studies dept. even told me so at a freelance gig once. That’s a pretty hefty endorsement. Despite a guitarist nearly half my age being disrespectful on stage about it, it’s still my fault. When I screw up with time or anything musically – and we all do – I always reassess what happened and how I can improve. At that particular gig – and not to make excuses – we were crammed upstairs basically in a hallway playing down to a bunch of people’s heads who could care less about jazz music and were celebrating the opening of some corporate product like windows or something. I honestly forget. It was such a crammed space for instruments or sound projection that I didn’t feel right playing the whole night. It was like performing in a closet. The drums were stuffed in a corner of the hallway and we all played basically in a straight line, which was a ridiculous setup by the event organizers. We could not really see each other. I could not hear anything except saxophone. Still my fault. I took it all in stride and re-examined my timing over the next few months to make sure a bad habit had not crept into my playing. There is an ebb and flow to timing on the drums and in music in general. Without that freedom, music would sound like a robot – and unfortunately already does in many of today’s loop-centric pop recordings. That said, we as drummers need to maintain solid tempo despite its inherent fluctuations. We need to know when to drag it back or rush it, paying heed not to lose control of the origin tempo. There are many jazz tunes where the starting beats per minute is not how the song ends or solo transitions, and it was not due to a time signature change. It was due to jazz being about improv and responding to the energy of the music presented at that given moment. The antagonist guitarist obviously knows this already as a Berklee grad. What he doesn’t know is that I used his thumbs down gesture as motivation to further refine my timing by working with a metronome regularly again, and also counting subdivisions during song passages. I made it a point to get accurate metronome BPM markings written down for all songs with other bands I play in. I started recording every gig and important practices for later critique. I’m not sure if my timing improved because it was already solid to begin with. But it served as a great reminder. In life, the best thing to do is turn a negative into a positive. 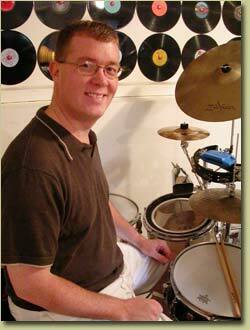 That rude Berklee guitarist helped me become a better drummer. Sometimes the best thing to do is listen to constructive criticism and then take action. Do you really think purely video-based drum lessons such as with Canada-based Drumeo are the best method for private drum set instruction? To its credit, Drumeo does claim that having a private, in-person instructor in combination with Drumeo online lessons is advantageous. Perhaps. 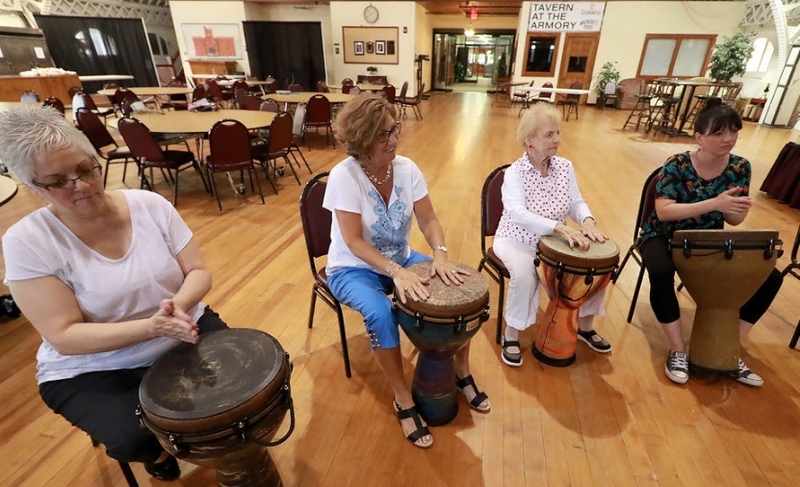 But then in the very next section of their latest promotion linked far below out of fairness to them, they completely attack all private in-person drum instructors with a $197 year-round drum lesson offer. 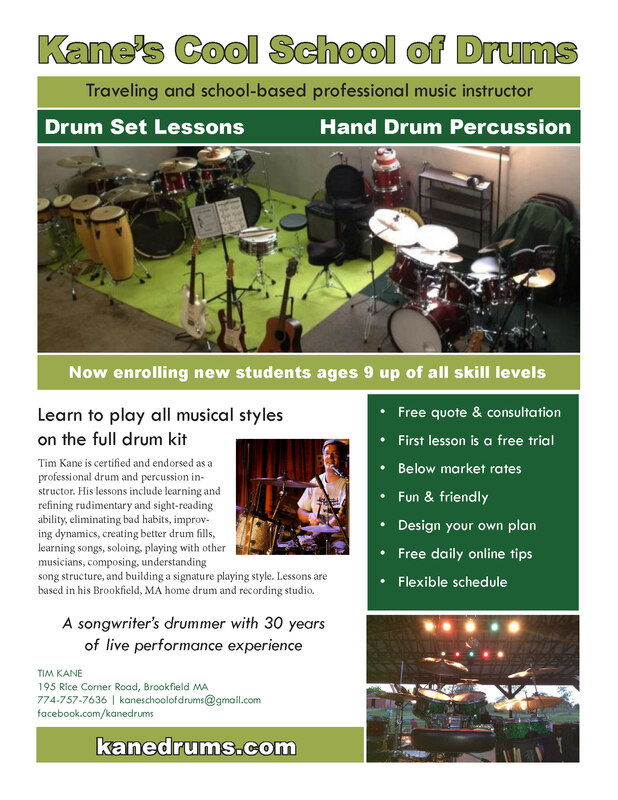 The average cost for weekly private, in person drum lessons during the school year is about $1200-$1500. 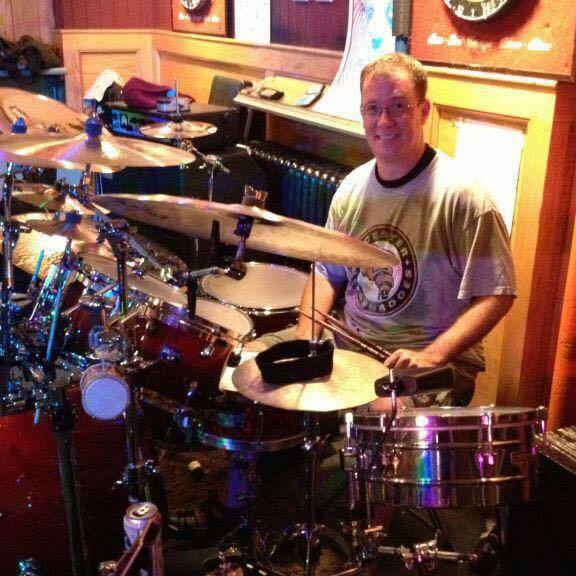 So how can us lowly private, in-person drum set instructors compete? It would take me at least one year of full-time work to develop a video-based lesson program on the scale of Drumeo’s as I am a one-drummer show. It’s my career and it has to be multi-faceted in order to earn a living. There are also only so many prospective drum students in any given market. Losing 5-10 percent of that market to online video lessons is a killer. If you are spending $197 a year at Drumeo for basically the same checkmark program offerings as a $1500-a-year private, in-person drum instructor, then what’s the catch? Sorry, local drum set instructor and working musician who lives in or near your community. You lose. But there is a catch you should really consider (and it’s a big one): Drumeo has thousands and thousands of active video students worldwide. 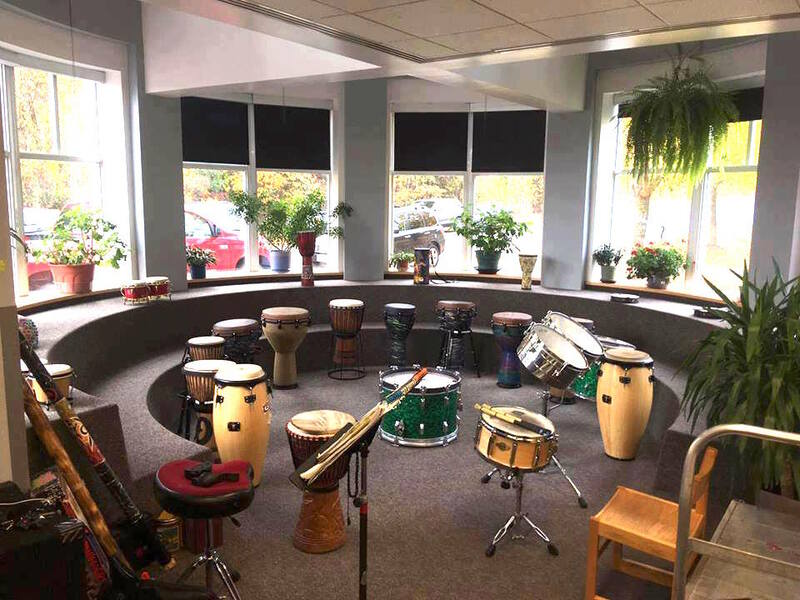 I personally have 12 per week between my home studio and a school where I teach, not including my group djembe drum circle work. I find many video teaching methods aren’t personable, the quality of the lesson isn’t very good, and above all they rarely if ever are point specific to any one student’s actual musical needs in any real micro way. For example, can Drumeo help a student prepare for an upcoming theater pit band gig by going through that student’s charts one page at a time – slowly – and help them understand notation? They probably say they can, but they really can’t because they have to cater lesson programming to the group dynamic. It’s a business model based on supply and demand. And they still have to pay all their top tier teachers and support staff money as well. So $197 per student looks far less appealing when you consider how many of those single student programs Drumeo actually has to sell in order to make ends meet. You get what you pay for in life. Drumeo may have some of the top drummers (many of whom I greatly admire) teaching group video lessons that may or may not apply to you, and offer very flashy website attractions and all sorts of big names and major product endorsements, but they don’t have your best interests in mind. I can promise you the personal feedback and passion for each and every student is not there with Drumeo nor will it ever be. It’s like suddenly flipping a switch and your kid goes to school one day only to find giant flat screen tv videos have replaced the actual human teachers in the classroom. Think long and hard about in-person private music lessons and don’t be tempted by the flashy video lesson programs like Drumeo’s. The reality is a lot of those same video lesson themes can already be found online for free. 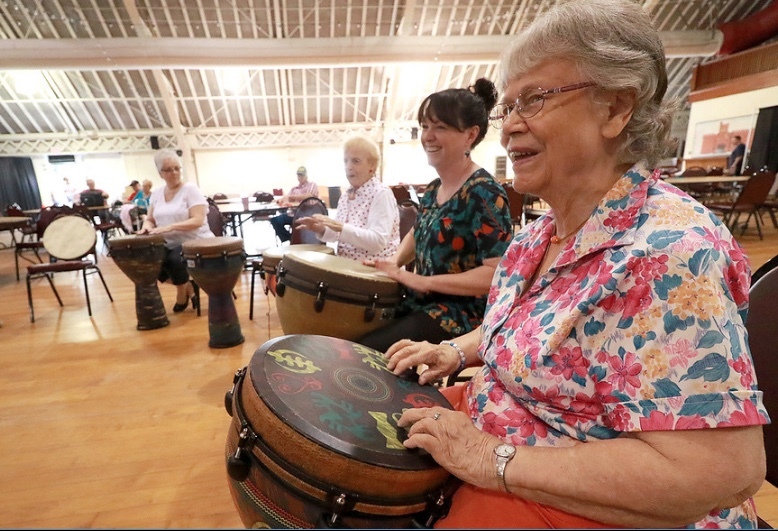 “It seems there are too many drummers whose work is of rough-and-ready variety and whose technical proficiency suffers in comparison with that of the players of other instruments. This week I challenged myself as a drum set instructor to then challenge my students to get off the drum set and sit at a snare drum for 45 minutes with a notated book on stick control and rudiments. Many great drum books came to mind for this lesson, including the legendary “Stick Control” snare drum book I studied as a kid originally published in 1963 by the great George B. Stone. Today, I particularly enjoy teaching “Reading Syncopation and Beyond” by Joel Rothman published in 2010. I selected Page 32 from Rothman’s book as a starting point to gauge where my students are at in terms of stick control, dynamics, rudimentary abilities and general knowledge of musical terms, theory and chart markings. What a shock this lesson came to many of my students, despite me reinforcing the basics at every lesson. 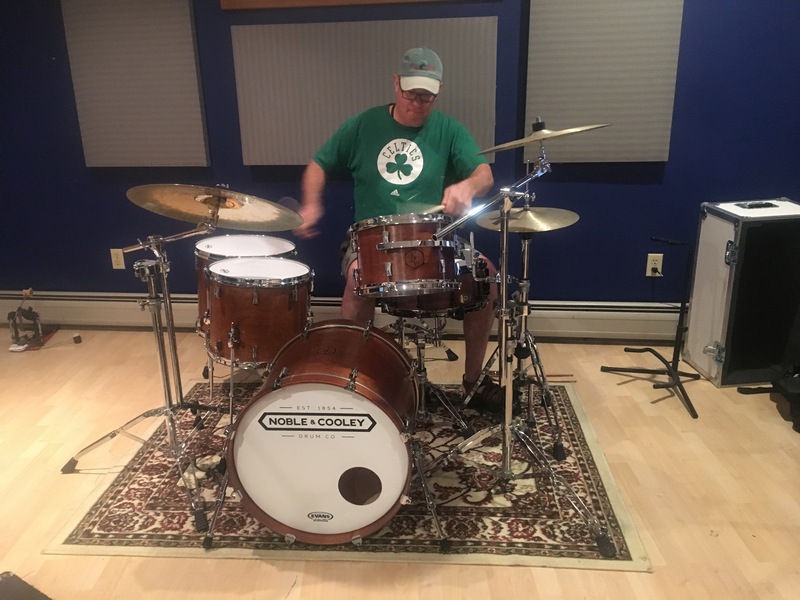 I discovered they just are not putting enough emphasis or time into mastering Rudiments, which are the language of drums, as well as sight-reading and basic stick control methods that separate a good drummer from a poor one. From just one page of Rothman’s book, my students learned how to count most all the subdivisions, got a primer on all musical notation, dotted notes, learned many of the dynamic markings and names as well as repeats, Codas, accents, and crescendos, and explored different time signatures. From one single page! And you know what? After 5- 10 minutes of hard work and listening, they all started to smile and really enjoyed the refresher course. I made tem not only count the measures where it was displayed, but also the bars where no counting numeration was listed. If you want to drastically improve and reinforce your own drumming, I highly recommend you taking the time each week to master one page for either of these books. It’s worth the investment in time. 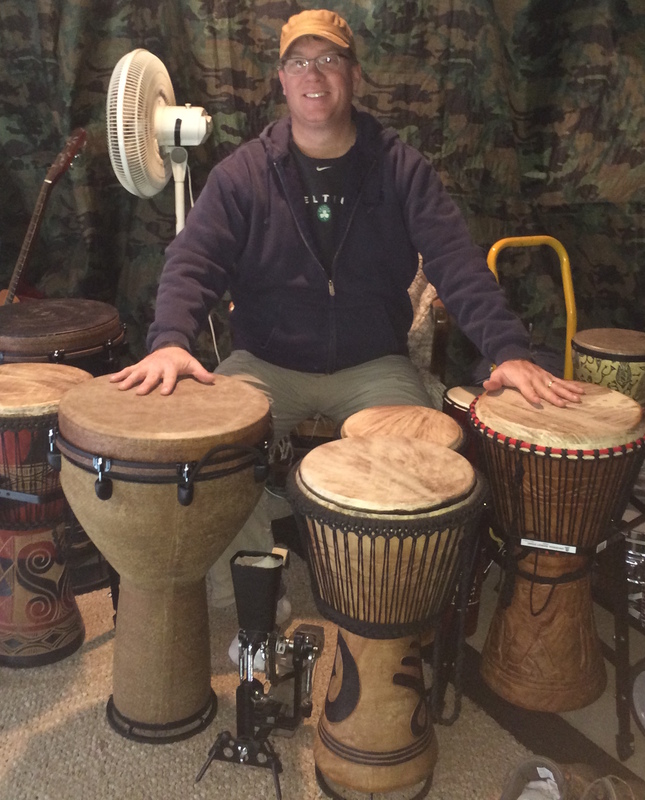 – Tim Kane is a professional drum set instructor, performer and drum circle facilitator. I always wanted to go to music school and was encouraged to by my former high school band directors. But my parents and family just did not support it at the time yet music was basically all I did as a kid. It was a constant head scratcher and my chosen college track in writing never really seemed like the right fit. Music always felt right. The lesson here is young students need as much encouragement from their parents as they do from private music instructors about pursuing their passions in life. Failure to fail or to recognize your true talents can result in being stuck in the wrong career like I was for far too many years. After 20 years spent as a newspaper journalist while endlessly moonlighting in music, I began switching gears back in 2005 after my young boys got a little older. Truth be told, I do not possess an advanced Masters or Phd in music teaching or performance. I do have a minor in music and a BA in professional writing, however, from Fitchburg State University. I played there in the collegiate concert and jazz bands under the direction of Conductor Frank Patterson for several years before being whisked off to the big Boston area clubs tour in a popular original alt. rock band, The Love Dogs. I spent many of my college nights and weekends jamming and creating with other musicians – just like they do at music schools. I always have loved playing in original music bands as they are the epitome of why you should play live music: to create and improvise. Life has a funny way of putting people back on the right paths. 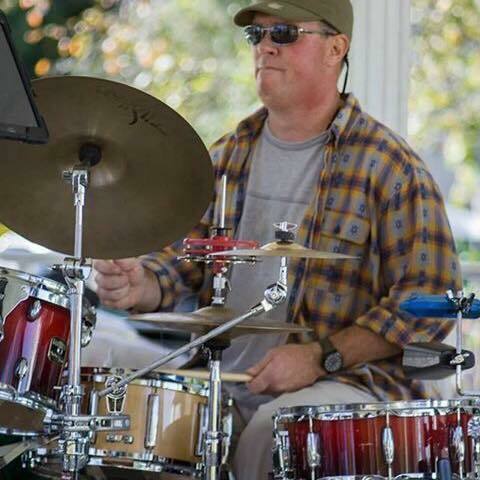 What I feel I can bring to the table today as a live drummer, drum circle leader, and private instrumental instructor is a vast jazz, concert and jam band performance portfolio dating back more than 30 years that never wavered or collected dust. I am the type of musician and teacher who loves to perform live and always has. 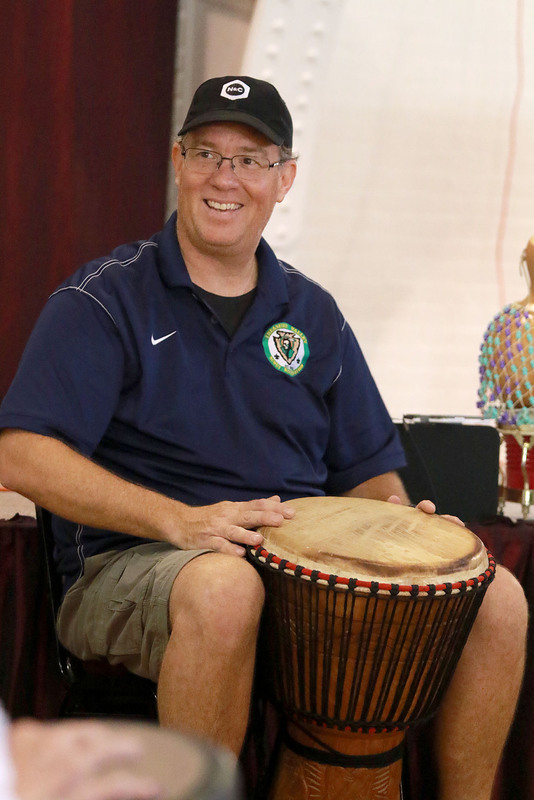 Over the past 10 years, I have built a respected and demonstrated music instructional business by partnering with local schools and parents in homes, specializing in jazz and rock drum set and group djembe drum circles. I also teach beginner trombone mostly to my own son right now, which I played throughout much of my younger student years along with drums right through college. I also possess a broad understanding of music composition and theory as an active songwriter in bands and with my own studio compositions on piano. What I’m trying to convey today in this blog post is that wisdom, life experiences and creativity also count a lot in music and teaching regardless of what that piece of paper says you earned. This belief is meant to take nothing away from prospective music degree seekers or many of my fellow musician friends who have earned such advanced degrees. The truth is many of those same well respected musicians and teachers have personally mentioned to me that I am a talented drummer and naturally-gifted teacher meant for this career track. My point is skillsets earned through life experience can sometimes bear equal value. Make more exceptions. For example, the experiences I honed as a hiring and training news editor and intern supervisor in the newspaper industry for 15 years count and serve me well as a drum teacher today. These many experiences combined with my life-long passion and active pursuit of music can’t only be taught in college. That’s just one pathway. It can also be mastered on the job and in life as someone who switched careers and never looked back. Although my New Year’s resolution is to tighten up my timing and tempo control, drummers should also strive to learn how to sight-read musical charts, even though most will never use that skill live. I was once invited to play my old, beat up, radiator-dented trombone live at a gig in Worcester last year. Though I found it difficult to play drums and trombone at the same time, what a wonderful experience that was and it reawakened my love for that instrument I began learning along with drums way back in the fourth grade. My sisters and I were writing and performing our own basic songs in the living room for our parents well before that age as well, planting the seeds of songwriting in me early on. 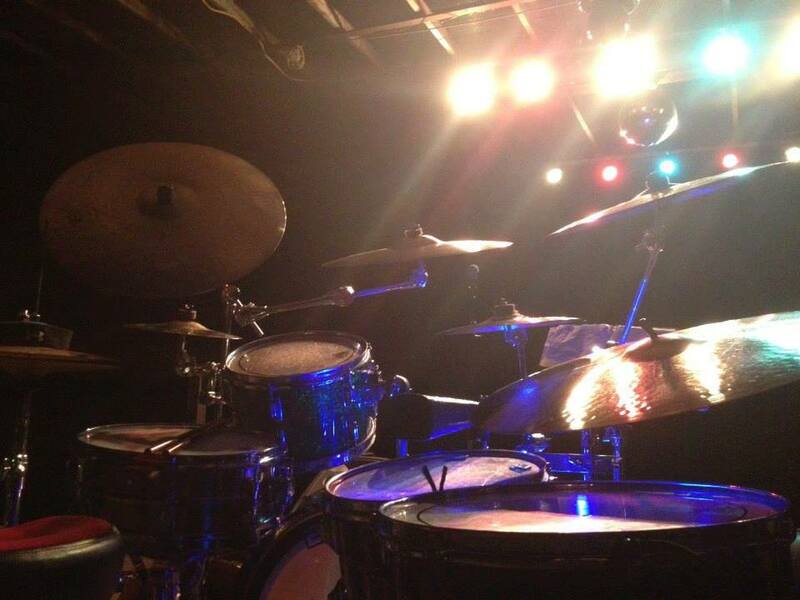 I know life gets in the way sometimes with kids, money and many other demands, but I have tried hard to live by this mantra as a drummer my entire life: “Always Aspire To Play Live.” Another words, you should always practice and prepare to play your instrument live out in front of audiences as much as possible. Live performance is at the core of being a dedicated musician, in my opinion. When looking back, the impetus for that excitement and challenge of live performance was entrenched within my soul when I was awarded an Outstanding Musical Performance certificate on the Drum Set by the National Association of Jazz Educators back in high school at a state-wide jazz ensemble competition while attending Auburn High School. 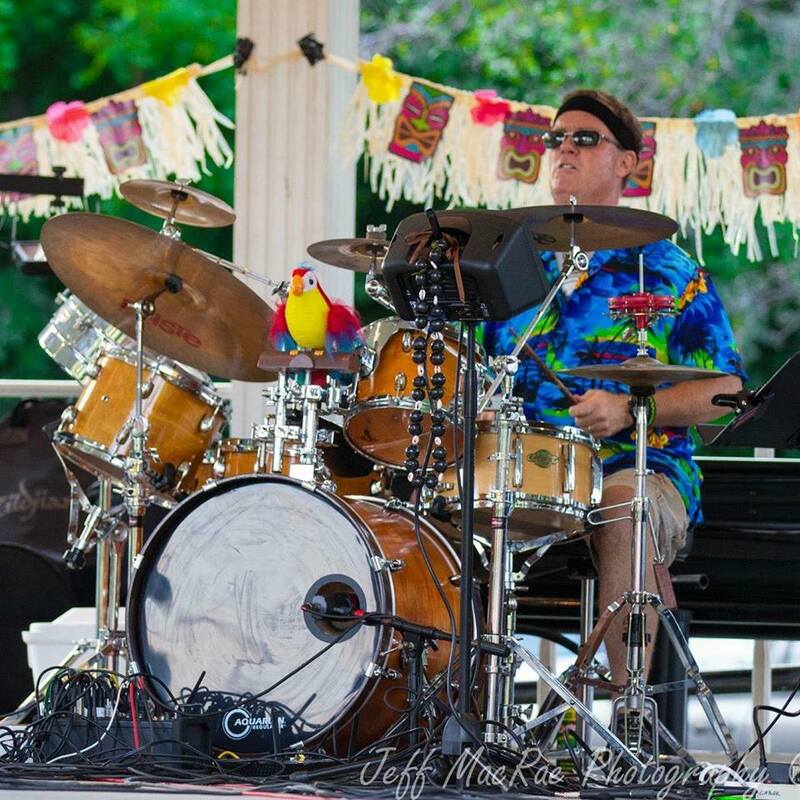 I recall playing a drum solo to “Caravan” that impressed all the judges there and drew wide applause. I loved that live feedback, padding the end result of a lot of hard work in rehearsals. What a day that was. However, drums eventually won out as the band director needed a jazz band drummer as did Show Choir, Marching Band and Chorus ensembles. All I did in high school was play drums in rehearsals and live. I didn’t play sports or video games. And when I came home, I put on my headphones and played and sight read music every day. Then, off to college I went where I basically double majored in music and professional writing given how many minor track theory, songwriting and music history courses I took as well as how much live music I played in many bands at FSU. Endless hours of live performance at the college parties, with a popular alt. rock band in and around Boston, and in the college jazz and concert bands on trombone, coincidentally, etc. Blah, Blah, Blah. 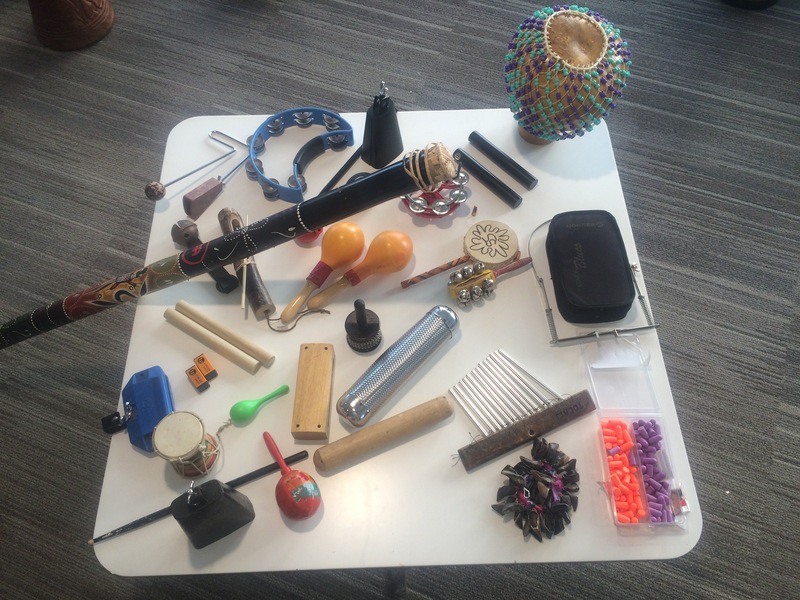 As a professional drummer and music educator, I feel it is absolutely critical that we maintain our chops on whatever chosen instrument we’ve mastered (or even still trying to master). I never stopped playing out live or yearning for that opportunity, even while I worked as a part-time musician for many years while writing. Yes, continuing to practice your instrument alone certainly helps a lot in learning and maintaining chops, but the value of playing with other musicians can’t be simulated. It’s earned with a lot of hard work and live gigs. If you find yourself in a slump and not playing out live enough or at all (and it does happen), the easiest thing to do is attend live open mic music jams in your area. That will get you playing live again and also introduce you to a broad network of other musicians who live nearby that you can then possibly start jamming with. Many bands have grown from open mic night friendships. Another tip is to just pick up the phone and call former bandmates and musician friends and ask them to jam with you. You’d be surprised how many other musicians think alike. If either of those solutions don’t pan out, try advertising in music stores and online community bulletin boards to form your own band or look for bands in need of drummers on Craigslist, etc. And if all else fails, come out with an impressive solo routine, get a permit from city hall, and play live out on the streets. I’ve yet to do this but it is on my bucket list. 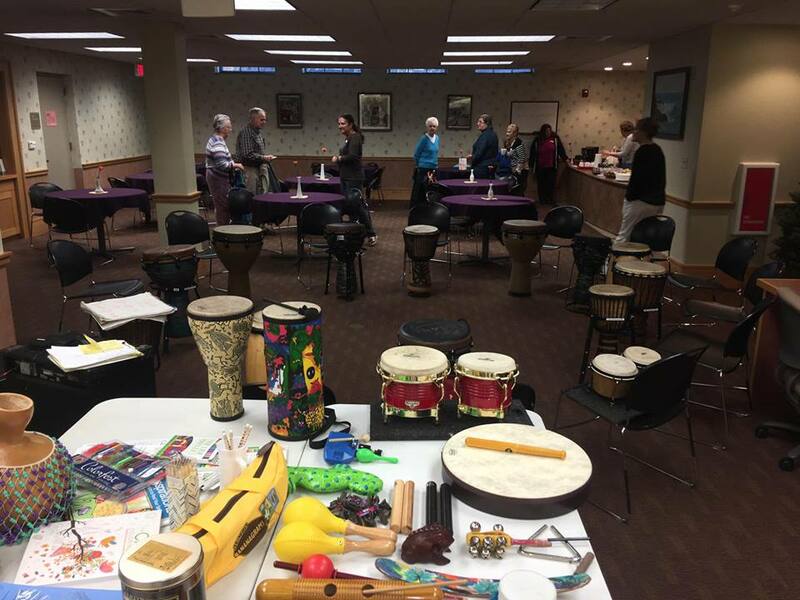 That said, I did start facilitating group djembe drum circles on the side about five years ago as another way to keep playing live and earn more money, which has steadily grown in popularity. I’ve been blessed in my life to play with many great musicians and bands. While I never found the good luck and “been in the right place at the right time” to join a national touring band, I have certainly done smaller tours regionally in New England. The point is I have gained enough skill by practicing hard and following my philosophy of “Always Aspire To Play Live” to deliver on a national artist touring situation should it arise. 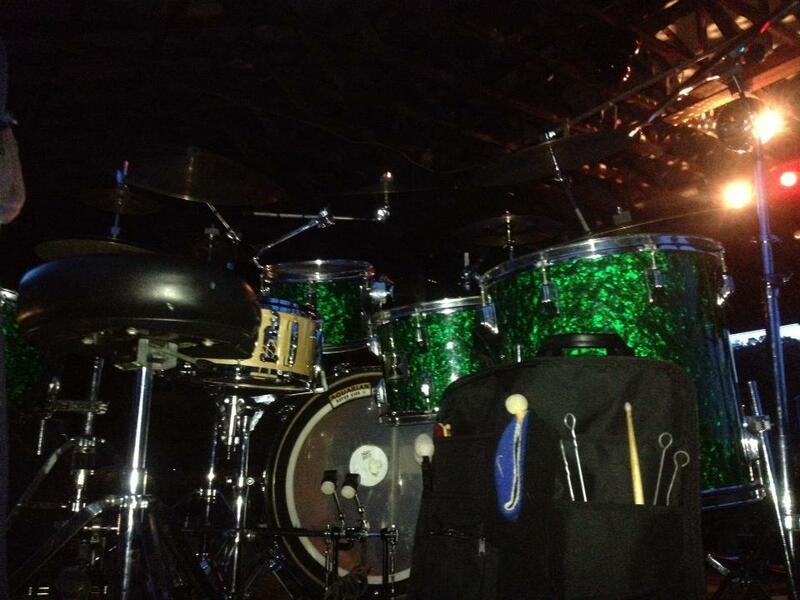 Below is a compilation of my upcoming local and regional gigs on drums. I smile every time I pull out of my driveway with a truck full of gear. If you come to a show and see me smiling on stage, now you know why. Feb. 23 – 2018 New England Parrot Head Convention – 9:00pm – 1:00am! The theme of this year’s convention is Under the Big Top! Great People, Great Music and a Great Cause! For more information go to www.newenglandphc.com/2018. 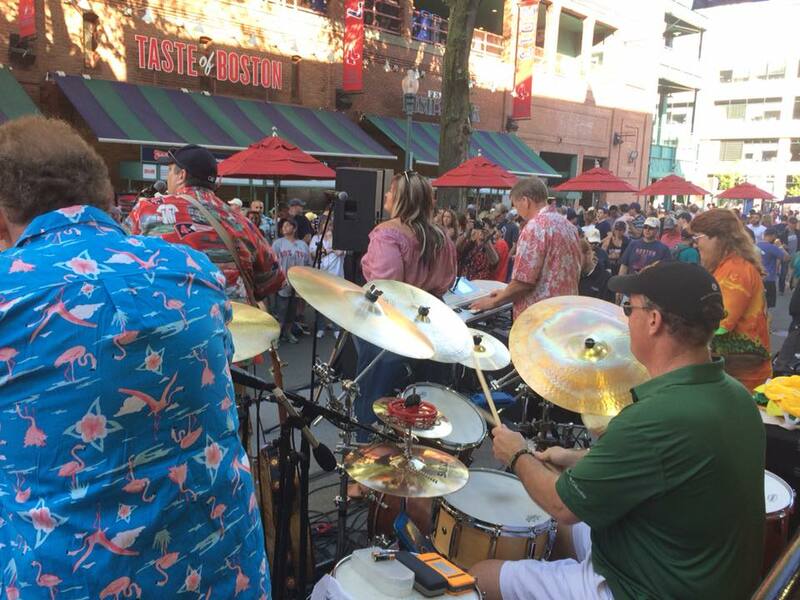 Band plays outside at Yawkey Way before game v. Blue Jays. ** Many additional TICB tour dates TBA as summer approaches. 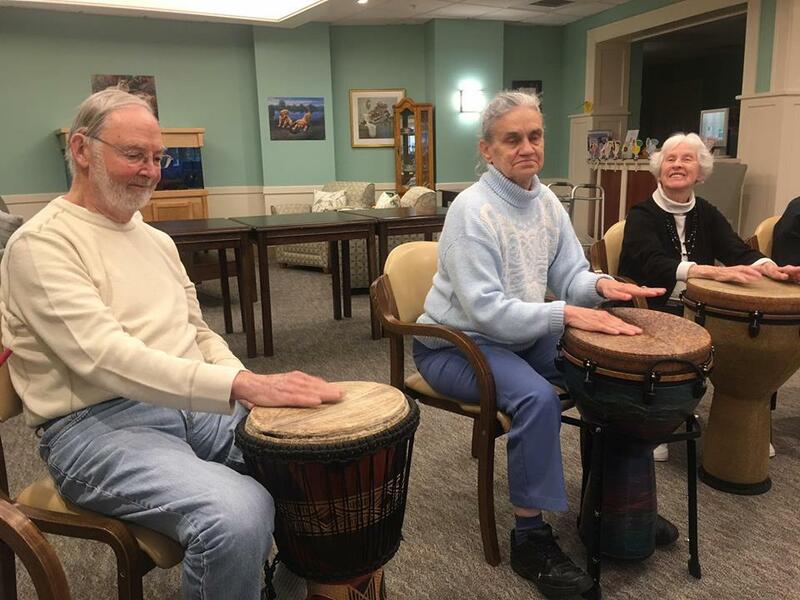 Tim facilitates group djembe drum circles on a weekly and monthly basis at various senior centers, kids’ facilities and assisted living facilities throughout Massachusetts. 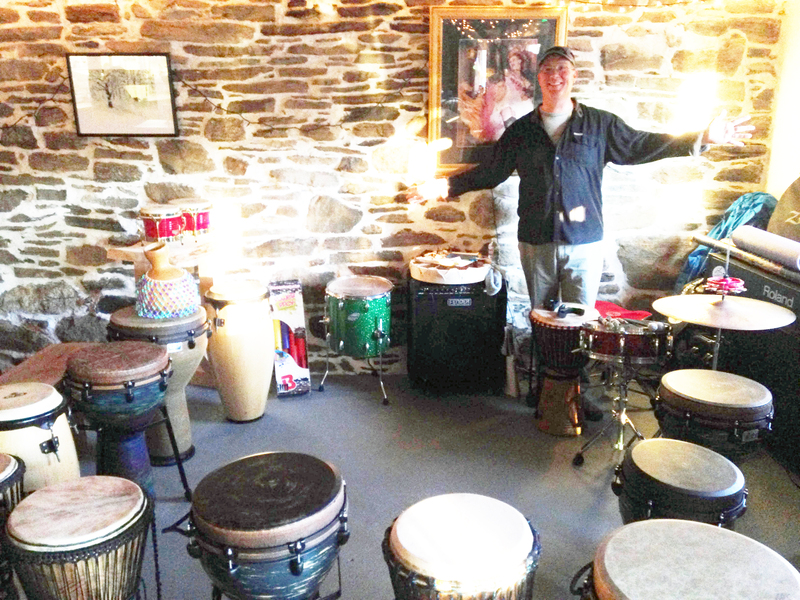 He’s hauling his 20 djembes and assorted percussion to Oasis Living Center in Worcester, MA every Friday morning with several other monthly gigs. 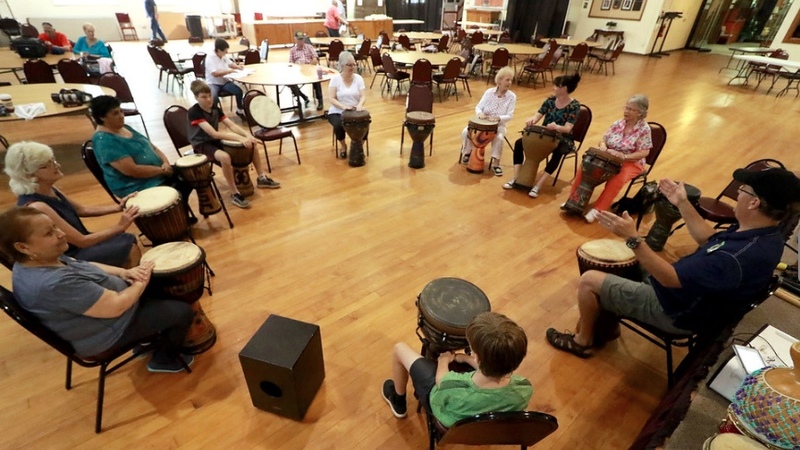 All Together Drum Circles at kanedrums.com has been working with K-4 students all summer long on Tuesdays at the Greendale YMCA Summer Camp. Above are links to songs the kids composed and recorded together last week after learning the basics of song structure. The audio link above contains a song about 12 kids recorded as part of a Sturbridge Recreation Dept. 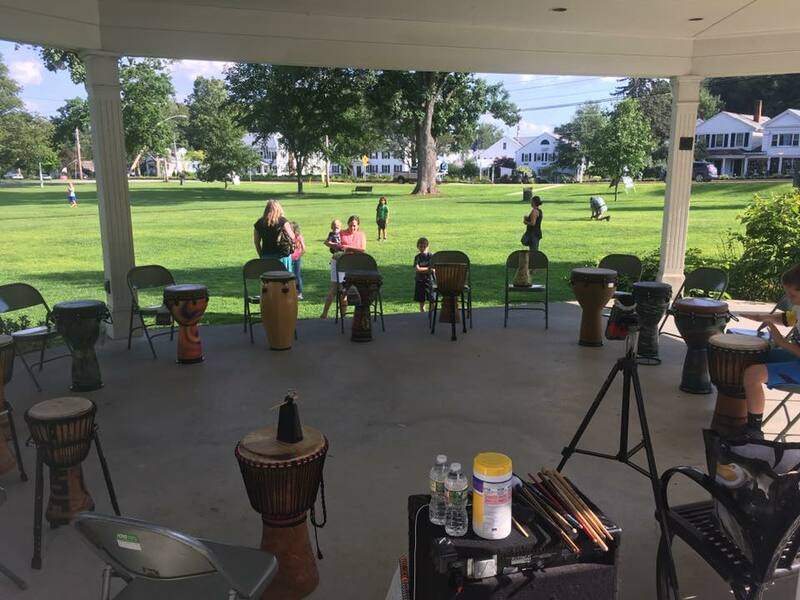 group drum circle program held on Sturbridge Town Common Aug. 9, 2017 funded by a Sturbridge Cultural Council grant. 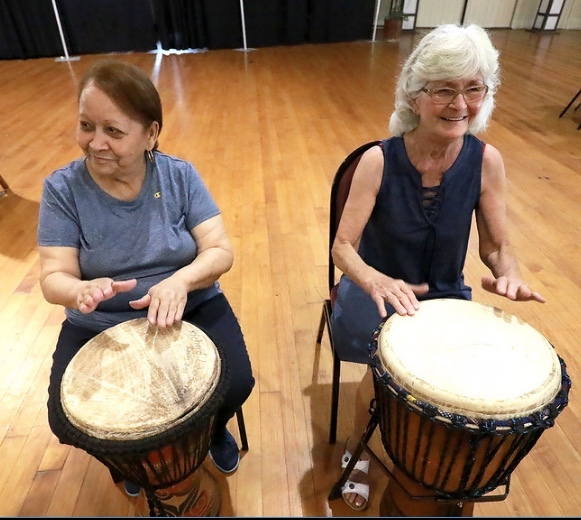 After learning the basics of hand drumming and practicing some beats, the kids then learned about song structure, including verses, bridges and choruses. They broke into smaller groups to create their parts. 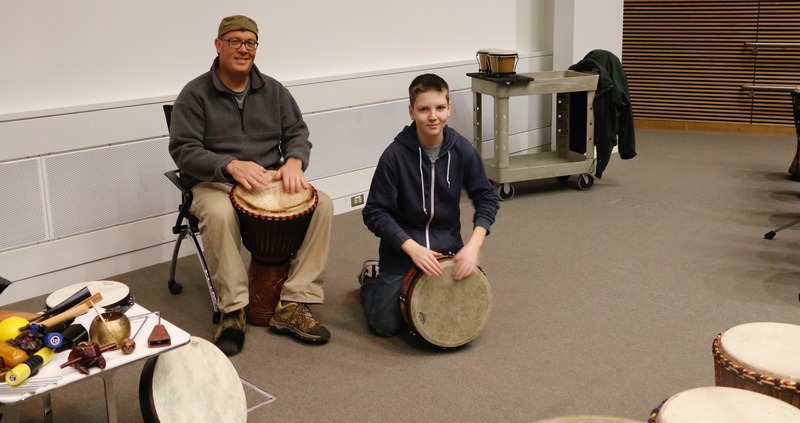 Directed by drum circle group facilitator Tim Kane using silent hand signals for orchestration, the kids named the song “I Don’t Even Know” – though it’s quite apparent they did know quite a bit about rhythm by the conclusion of the hour-long event. 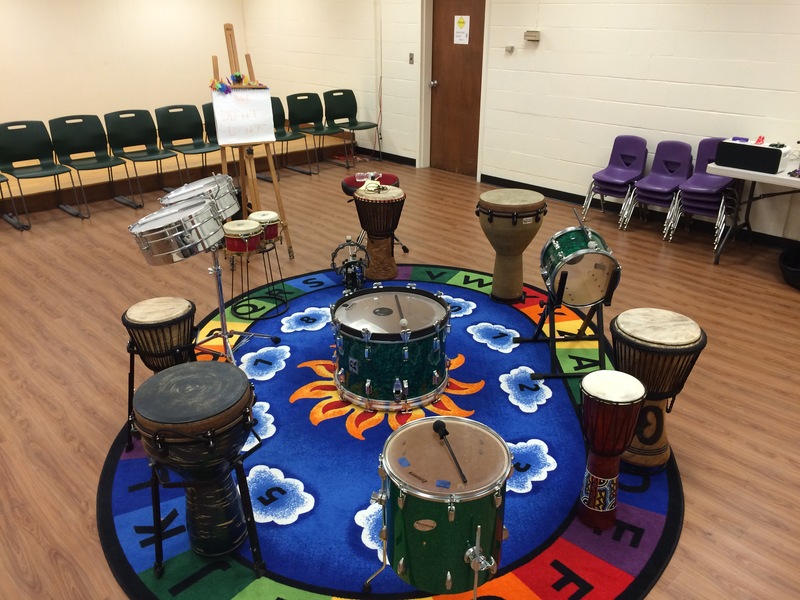 Great job kids and thank you for choosing All Together Drum Circles at kanedrums.com.